Not too long after I wrote about the Saint Laurent knee-high boots, Rihanna killed the look in her Paris hotel room on her way to slay the whole of France. Moral: Take trend tips from me. Or not. Whatever just slay, that’s all that matters. 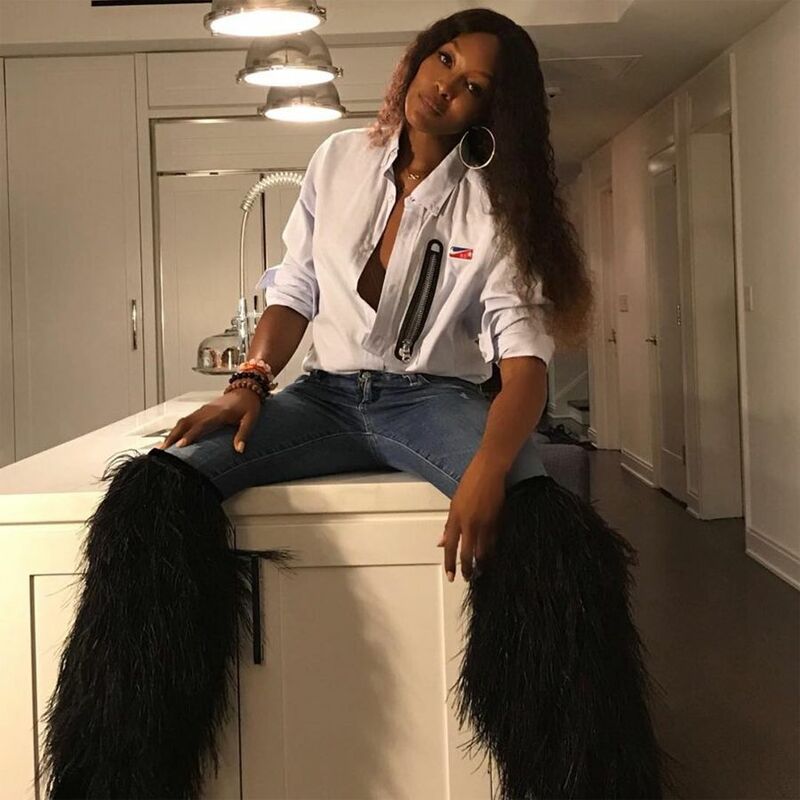 Anyway, Naomi Campbell shared an Instagram photo wearing the boots, now popularly known as “Yeti boots.” She paired hers with a a white shirt from Riccardo Tisci’s latest collection for Nike. Her caption, “mood” is proof that this trend pretty much already speaks for itself.